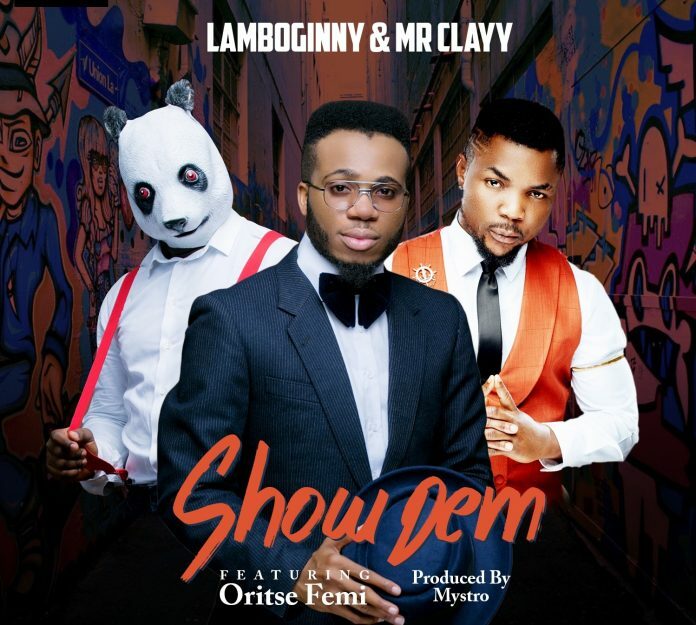 Hapi Music has premiered the official video to the wedding song of the moment, the Mystro produced single “Show Dem” by Lamboginny & Mr Clayy featuring the musical Taliban “OritseFemi” now has a video to its credit. The song was released few weeks ago and has since enjoyed good receptions amongst music fans and hence becoming one of the most played songs at wedding ceremonies across the country. The video featured Wazobia FM & Naija FM’s OAP duo of Lolo1 And OsamNtse, Star Actress Jumoke Popoola , with cameo appearance from Kaffy, DJ Jimmy Jatt, Mystro, Dj Boombastic and Benie Macaulay amongst others. Show Dem is directed by the unusual video director/cinematographer @Directormattmax for Hapi Music. Watch, enjoy and share. @LAMBOGINNY.